PTB: Is the U.S. Ordinariate continuing to grow, or has it seemed to have reached a plateau? How does this compare with hopes and expectations at the time the U.S. Ordinariate was formed? SJL: We continue to experience good growth, for which we give thanks to God. Initially, there was perhaps a presumption – warranted or not – that there would be a continuous stream of whole parishes entering into the Ordinariate. This is actually very difficult for a number of reasons. There are complicated questions of property and ownership, and many people are very attached to their parish churches. There are other issues of pastoral life when only a percentage (even when it’s a large percentage) of a parish decides to seek full communion with the Catholic Church. Parish groups continue to enter – we have had 2 since I became bishop – but this is less common. More common is for our existing parishes to found a mission community starting with a group of Ordinariate parishioners that have to drive a long distance for Sunday Mass, a mission which begins to grow and develop on its own. We have started four of those in the last two years. Additionally, we sometimes receive a request from current or former Anglicans to begin a community in a certain area. When we are able to send a priest or deacon to assess the situation and begin ministering to their needs, a group grows up very quickly. Many former Anglicans who have become Catholic over the years welcome the opportunity to reconnect with the heritage, liturgy, culture, and “style” of parish life they knew before becoming Catholic. PTB: What do you see as the most important gifts and charisms the Ordinariate has to offer to the Catholic Church? 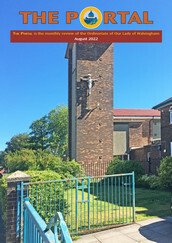 SJL: The Apostolic Constitution Anglicanorum coetibus speaks of the liturgical, spiritual and pastoral patrimony of Anglicanism as a “treasure to be shared” with the whole Catholic Church. There are tangible expressions of this patrimony, such as our liturgical rites for Mass and the Sacraments. This is a beautiful expression of how the Roman Rite was taken up and developed in an Anglican context and is not reintegrated into Catholic worship. Other elements of the patrimony are less tangible, but nevertheless important. The “way” we do parish is qualitatively different, and not just because our communities are often so much smaller than diocesan parishes. We structure fellowship, meetings, catechesis, and devotions precisely to encourage a sense of intimacy, even within the context of our larger parishes. There is also a great seriousness given to adult faith formation, resulting in a well-formed and participatory laity. I am certainly not suggesting that these things do not happen in other Catholic parishes, as they certainly do. But I do find that, consistently and intentionally, Ordinariate parish life is experienced as a larger reality than Sunday Mass attendance. I am back from covering the annual plenary gathering of the Canadian Conference of Catholic Bishops and am happy to see a couple of my stories were picked up internationally. This one on Cardinal Marc Ouellet’s first of two talks on Amoris Laetitia (the second talk was given after the public portion of the plenary was over, so I don’t know if it will be made available) and . . This one, on the Consecration of Canada Sept. 26 to the Immaculate Heart of Mary. After the consecration, Canada’s bishops and eparchs, including three cardinals, pose for a group photo outside Notre Dame Cathedral Basilica on the Feast of the Canadian Martyrs. I remain extremely busy with a number of new stories to write, so blogging may continue to be light. Thank you to all the new members of the Anglicanorum Coetibus Society who have signed up over the last week. It is great to have you aboard! When I get a moment I will email each of you individually. Meanwhile, if you are looking for something interesting to read, may I suggest this interview with Cardinal Muller by Edward Pentin. Just noticed a bump in stats due to a link from Tito Edward’s blog at the National Catholic Register. This is the post he picked up. Our Anglicanorum Coetibus Society webmaster Shane Schaetzel’s has a post over at his Catholic in the Ozark’s blog that’s well-worth reading, and even got picked up by Big Pulpit, a Catholic news and blog aggregator. Something big is happening, and it really is the way of the future. It has to do with restoration, and by that I mean the restoration of something very big and very old. About 500 years ago, while Martin Luther was just beginning to start his Protestant Revolution in Germany, England was still a staunchly Catholic country. At that time it was known as “Mary’s Dowry” and had King Henry VIII not embarked on a lust-filled schism to legitimatise his adultery and illegitimate offspring, England might still be Catholic today. Imagine that, if you will. What would it look like? You don’t need to imagine too hard, because you see, that image exists today, albeit in a much smaller form. It’s called the Anglican Patrimony Ordinariates. These are the Personal Ordinariates, created by Pope Benedict XVI, initially as a juridic structure for former Anglicans and Methodists, who have left Protestantism behind and brought their English liturgical heritage into the Catholic Church. The Anglican Patrimony is most clearly seen in Divine Worship, which is the liturgical norm of the Ordinariate, sometimes informally called the Anglican Form of the Roman Rite but the proper name is Divine Worship. Everyone is familiar with the mass of course, but what is evensong? This is the English form of high vespers. When it is spoken, it is called Evening Prayer. When it is sung, it is called Evensong. These terms are just one of the peculiarities of the Anglican Patrimony. If the Protestant Revolution never happened in England, if England had been allowed to continue on as “Mary’s Dowry,” then Catholic worship in the English-speaking world would probably look something like this — a Form of the Roman Rite heavily influenced by the Sarum Use (a form of the Roman Rite commonly celebrated in England before the Protestant Revolution). Divine Worship follows the older versions of the Anglican Book of Common Prayer in some ways, but is more consistent with the ancient Sarum Use, and remains completely faithful to Catholic teaching and orthodoxy. What we have here is the restored Anglican Patrimony within the Catholic Church, or what English Catholicism would look like today, had King Henry VIII not broke England away from communion with Rome. It is alive today, vibrant, and just oozing with medieval tradition. Watch the videos and see for yourself. Of course, a great many Catholics are frustrated that there is no such parish anywhere near their location. Some of these Catholics are former Anglicans or Episcopalians. Some of them are even former Methodists. They like what they see, but must resign to what seems like an impossibility, since there is no such parish near them. Well folks, all of that is about to change, because of a little organisation called the Anglicanorum Coetibus Society. Pronounced as “Ang-lick-an-OR-oom CHAY-tee-boos,” the Society is named after the Apostolic Constitution signed by Pope Benedicit XVI in 2009 by the same name. Anglicanorum Coetibus means “Groups of Anglicans” in Latin, and it is the Apostolic Constitution that allows for the creation of Personal Ordinariates within the Catholic Church that follow the Anglican Patrimony as proscribed by Divine Worship. In other words, Anglicanorum Coetibus is the papal document that makes the Personal Ordinariates possible, and revives the Anglican Patrimony within the Catholic Church again. The Catholic Church hasn’t used the Anglican Patrimony in nearly five centuries, so this is a really big deal. Now the Anglicanorum Coetibus Society is dedicated to the promotion of Anglicanorum Coetibus and it’s propagation throughout the English-speaking world. That means supporting the formation of more Catholic communities based on the Anglican Patrimony and strengthening those that already exist. So how is that done, and can it be done outside of the official structure of the Ordinariates? 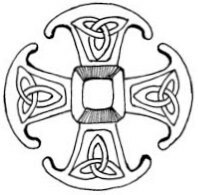 Go on over to Shane’s site to see the rest of his post, or go directly to the Anglicanorum Coetibus Society’s website! And, while you’re at it, why not take out a membership and support our mission?